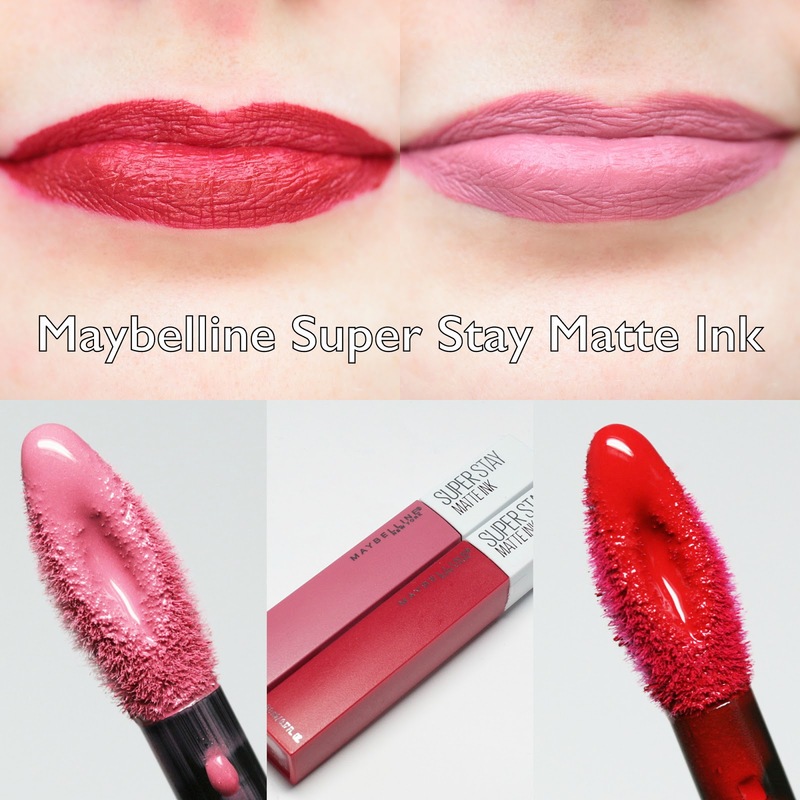 What is the Maybelline Super Stay Matte Ink? 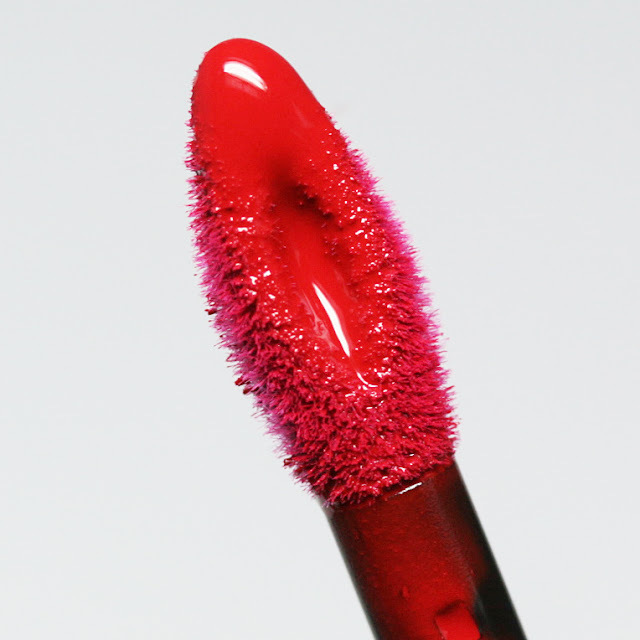 According to the brand, it is a "Liquid Lipstick [that] gives you a flawless matte finish in a range of super-saturated shades." The "benefits" are listed as "Ink your lips in up to 16 HR super-saturated matte. 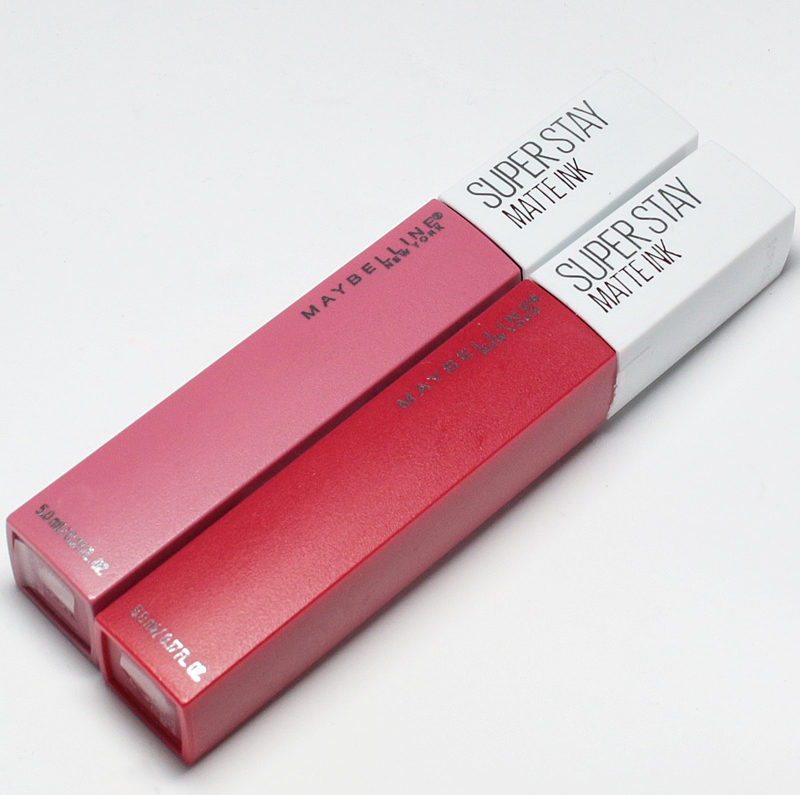 Super Stay Matte Ink features a unique narrow applicator for precise application and is available in a range of super-saturated shades." 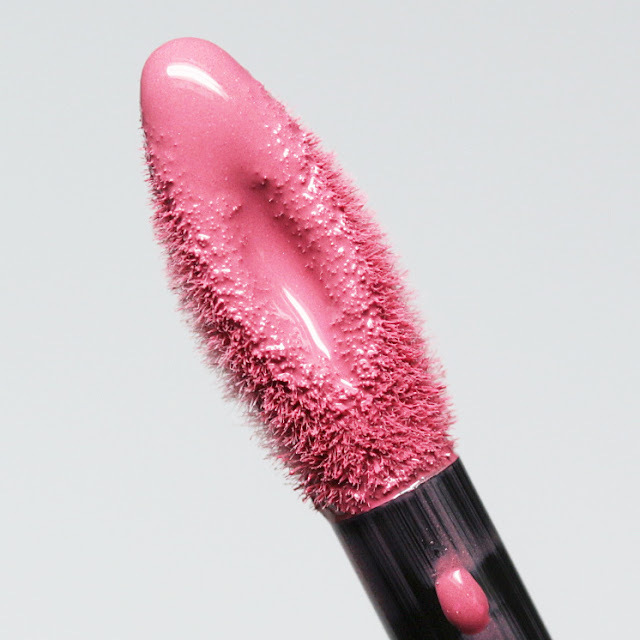 The product comes in an opaque, matte plastic lip-gloss type tube. The first shade I tried was 15 Lover, which is a light, neutral pink. This would be a flattering shade on warm or neutral light skin tones. My skin matches Nars Gobi best, or NC15 in MAC moderately well. My lip swatches were taken in natural daylight in the shade. The next shade I used was 20 Pioneer, which is a bright, neutral red. This would work with pretty much any skin tone. So how did it do? Spectacularly well! One of my biggest fears with matte lip products is dryness. I am really prone to sore, peeling lips and usually just wear lip gloss. 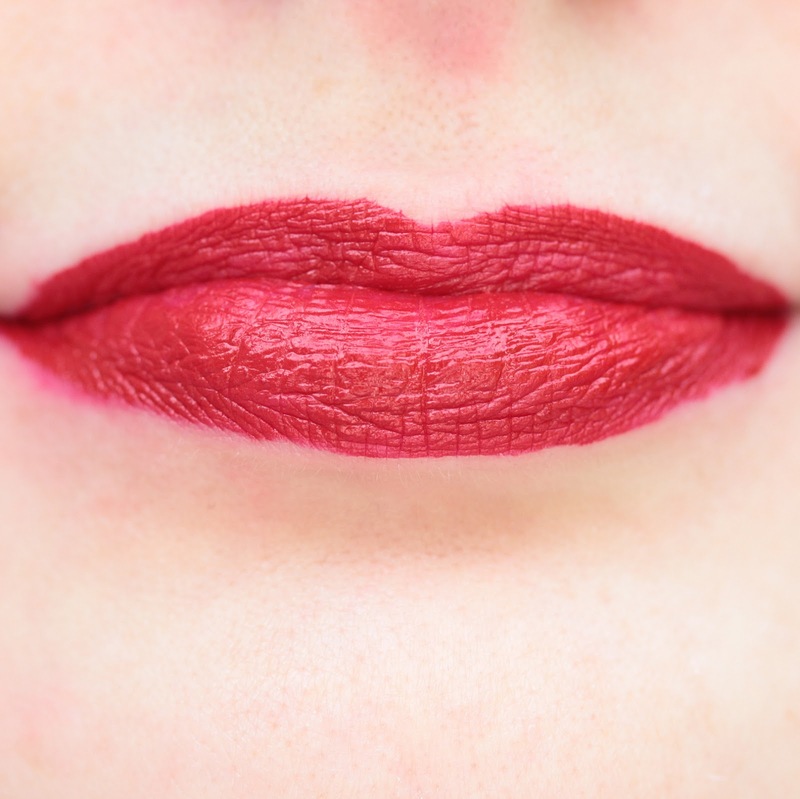 These liquid lipsticks dry down, but never feel cakey or clingy on the lips. They feel comfortable and neutral to hydrating throughout wear. So wear time is another factor. Maybelline claims 16 hours, but in my experience they last much longer, even through meals. I put on the products before bed, and not only were they intact the next morning, but lasted through meals, toothbrushing, and drinks for up to 24 hours. I have never even seen anything like this before. Now, if you have something greasy to eat, they may not last as long, but they are the longest lasting lip products I have tried. Combined with the fact they are non-drying, that is a miracle in my book. The only issue I had was that even with the small applicator, I still had a bit of unevenness in application, but then, I usually don't pay much attention to how carefully I apply lip gloss - these I had to be more attentive. These sell at mass retailers for slightly less than $8 and I would say they are an excellent value for the performance. Have you tried these or any other matte liquid lipstick?